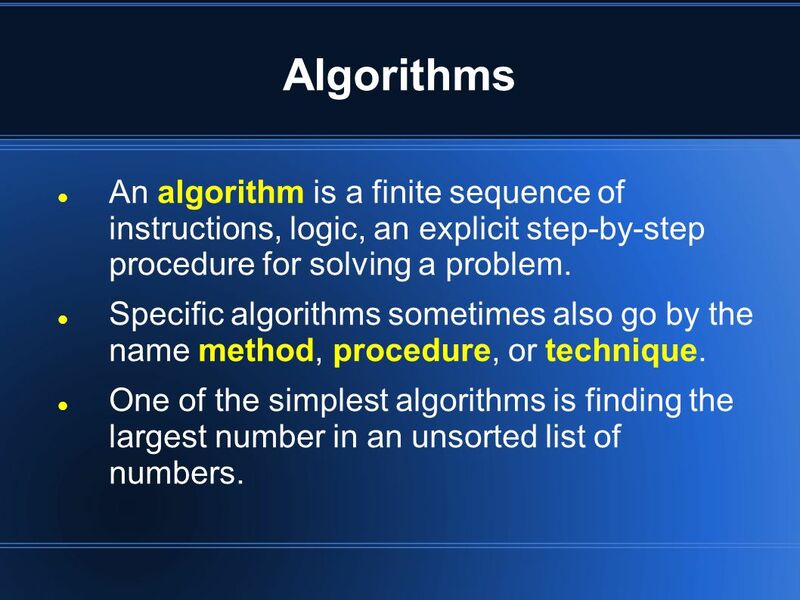 Algorithms An algorithm is a finite sequence of instructions, logic, an explicit step-by-step procedure for solving a problem. 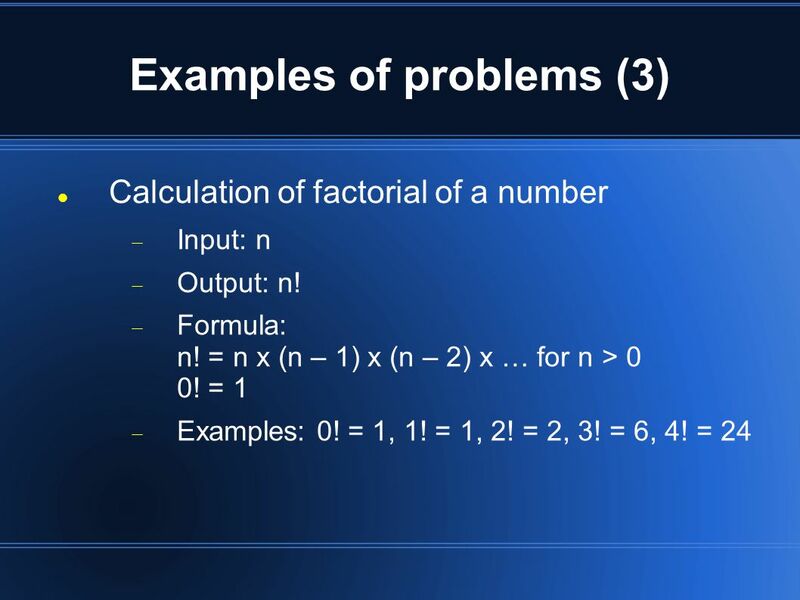 Specific algorithms sometimes. 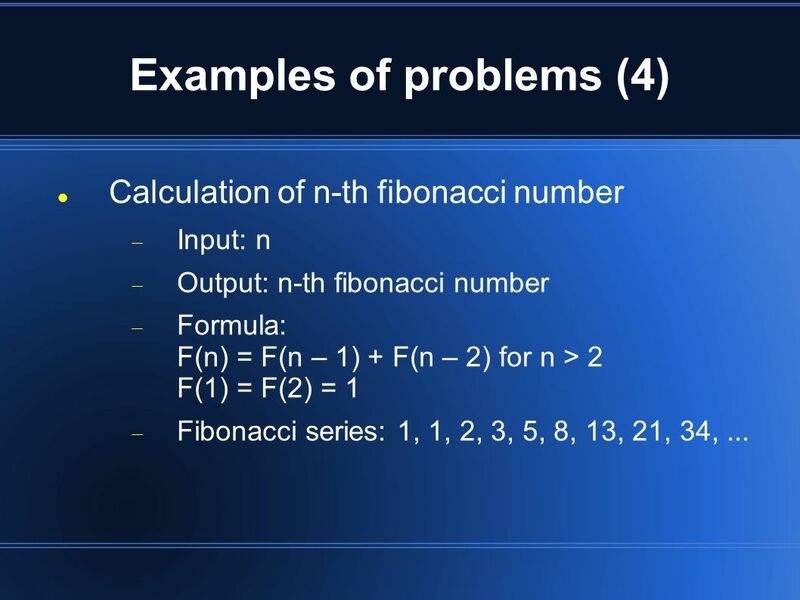 1 Algorithms An algorithm is a finite sequence of instructions, logic, an explicit step-by-step procedure for solving a problem. 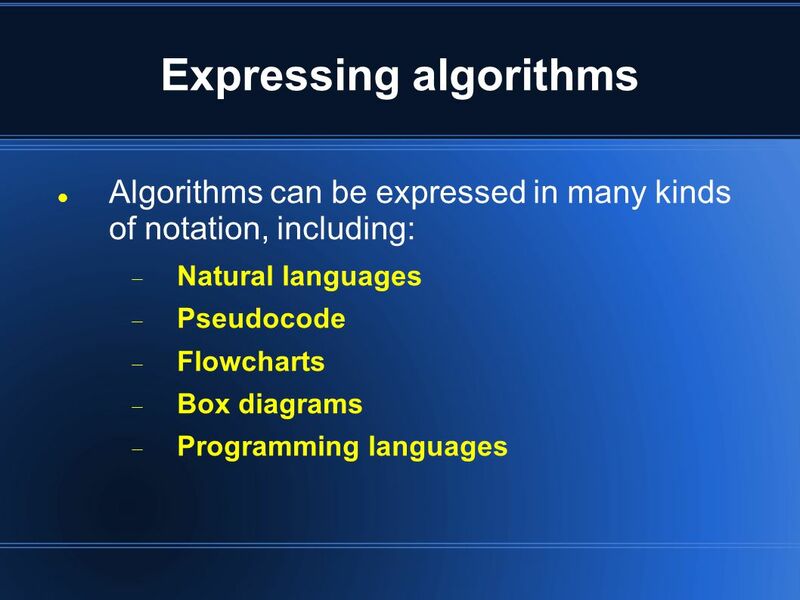 Specific algorithms sometimes also go by the name method, procedure, or technique. 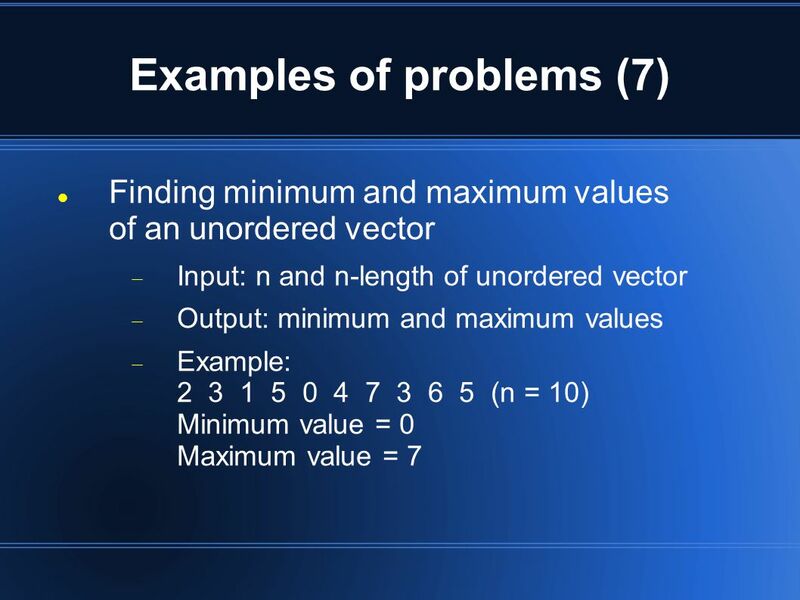 One of the simplest algorithms is finding the largest number in an unsorted list of numbers. 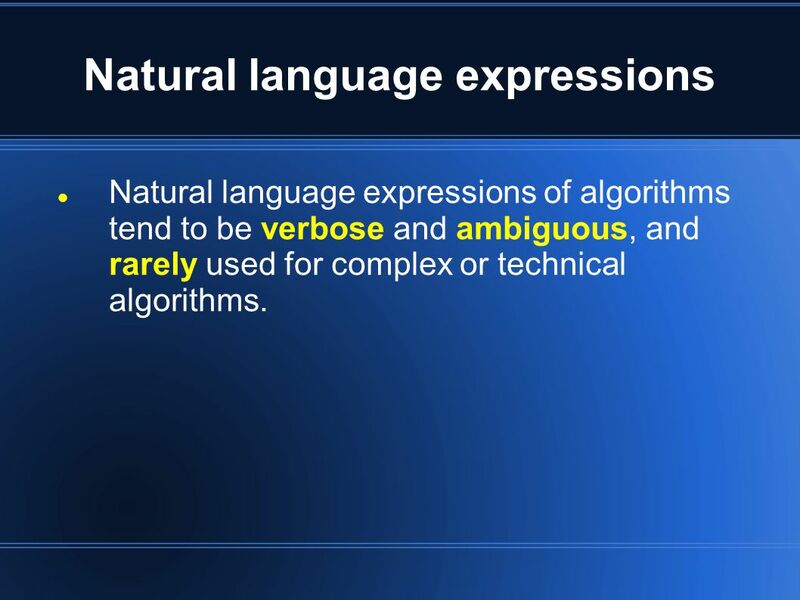 3 Natural language expressions Natural language expressions of algorithms tend to be verbose and ambiguous, and rarely used for complex or technical algorithms. 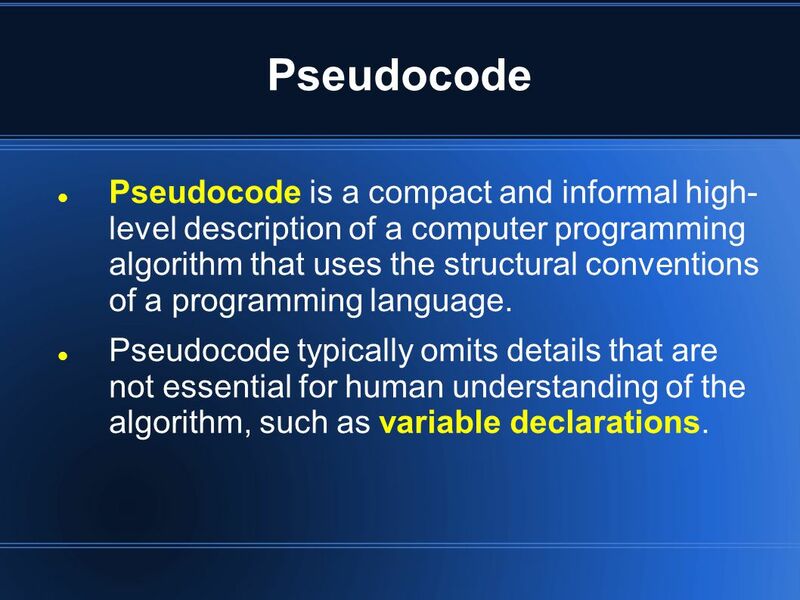 4 Pseudocode Pseudocode is a compact and informal high- level description of a computer programming algorithm that uses the structural conventions of a programming language. 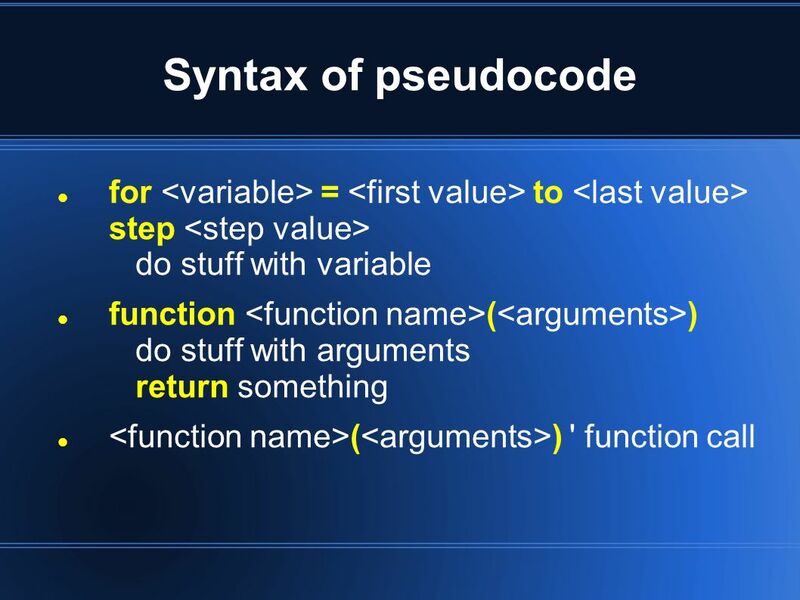 Pseudocode typically omits details that are not essential for human understanding of the algorithm, such as variable declarations. 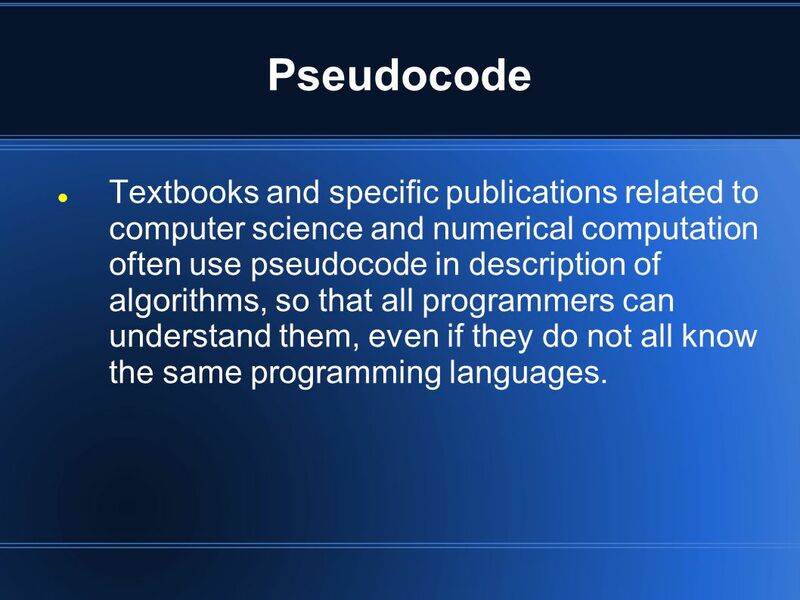 5 Pseudocode Textbooks and specific publications related to computer science and numerical computation often use pseudocode in description of algorithms, so that all programmers can understand them, even if they do not all know the same programming languages. 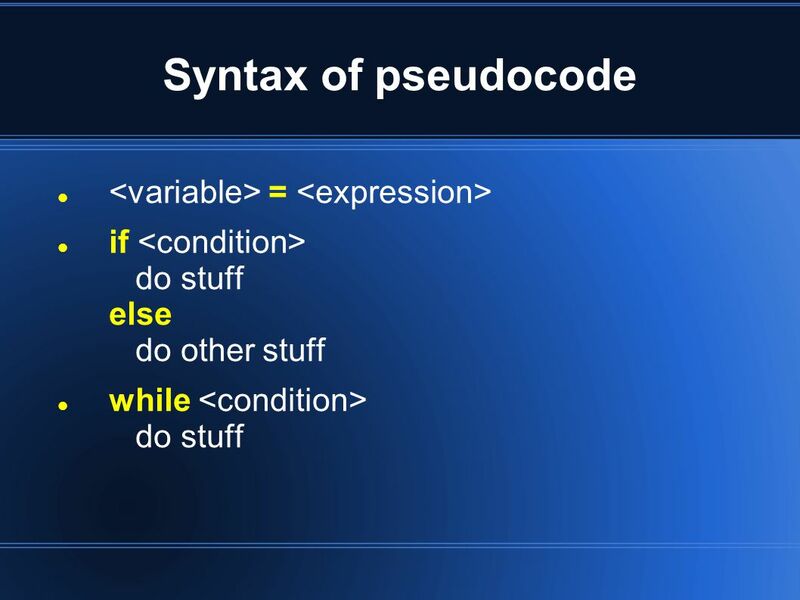 6 Syntax of pseudocode Pseudocode generally does not actually obey the syntax rules of any particular languages. 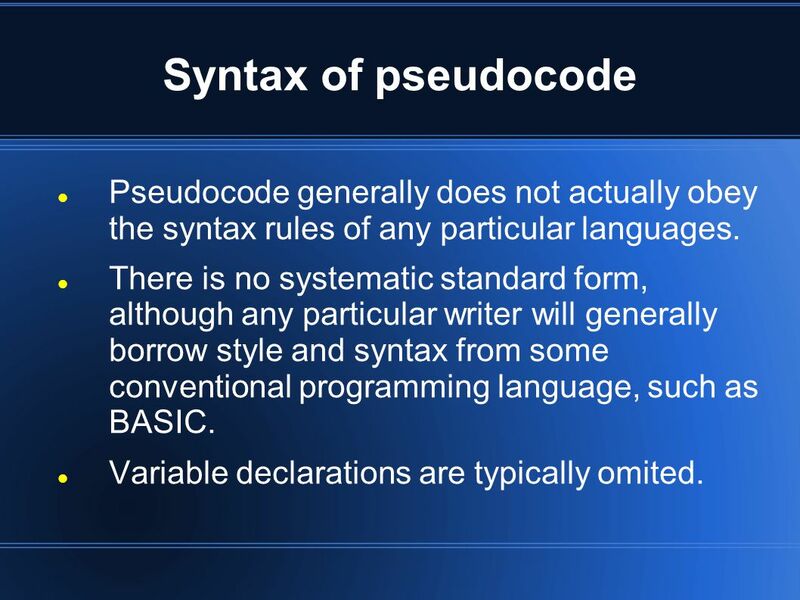 There is no systematic standard form, although any particular writer will generally borrow style and syntax from some conventional programming language, such as BASIC. 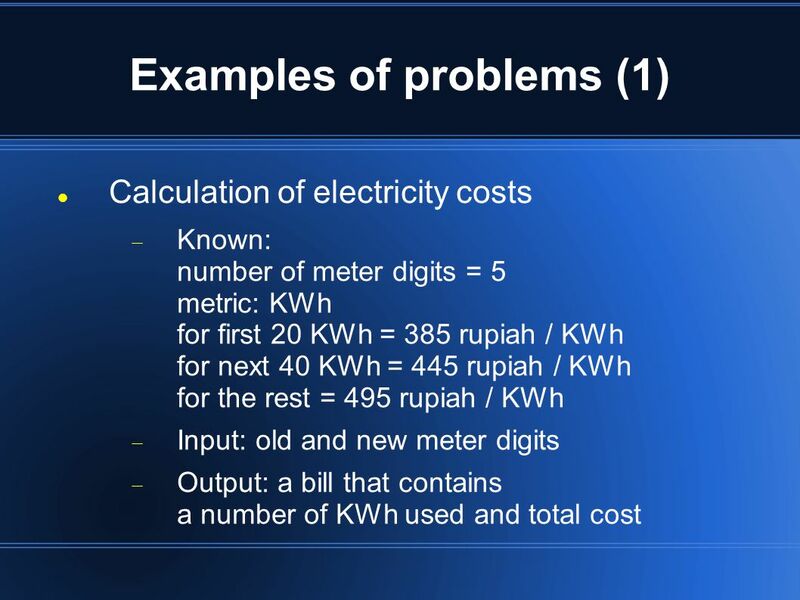 Variable declarations are typically omited. 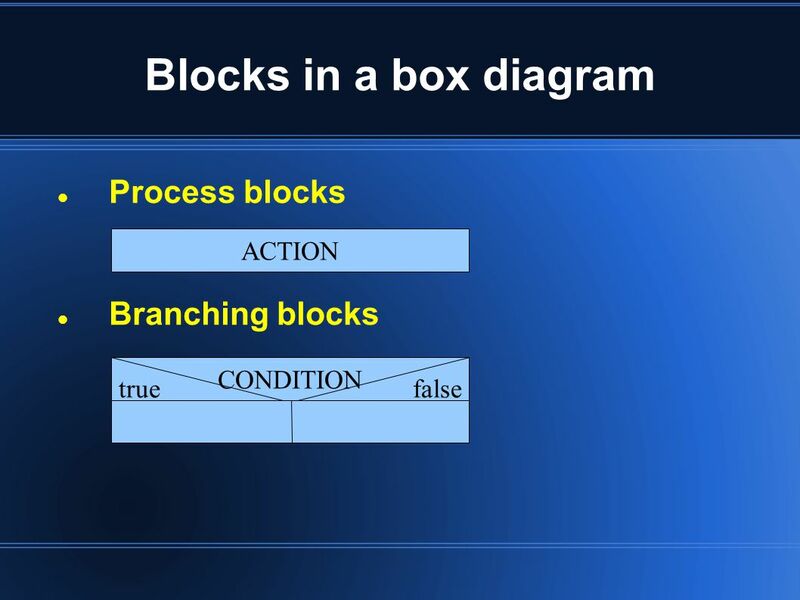 9 Flowcharts Flowchart is a common type of chart that represents an algorithm or process, showing the steps as boxes of various kinds, and their order by connecting these with arrows. 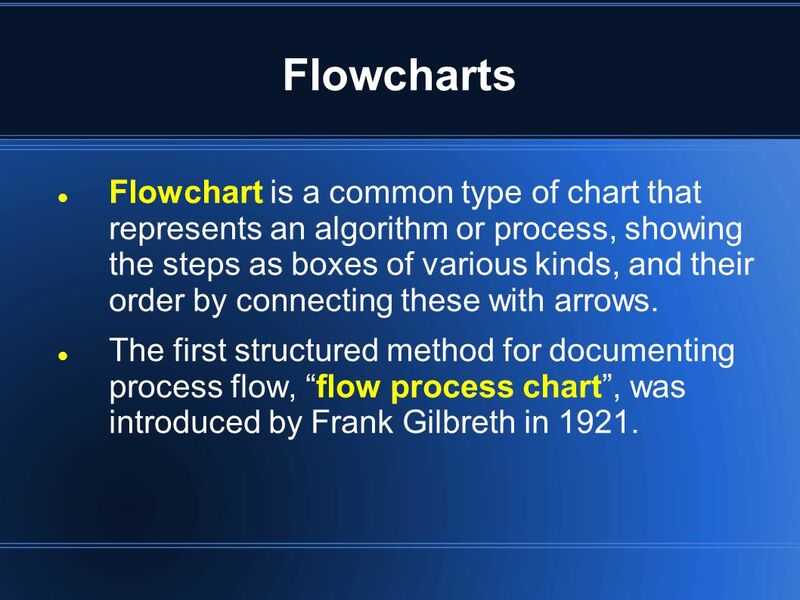 The first structured method for documenting process flow, “flow process chart”, was introduced by Frank Gilbreth in 1921. 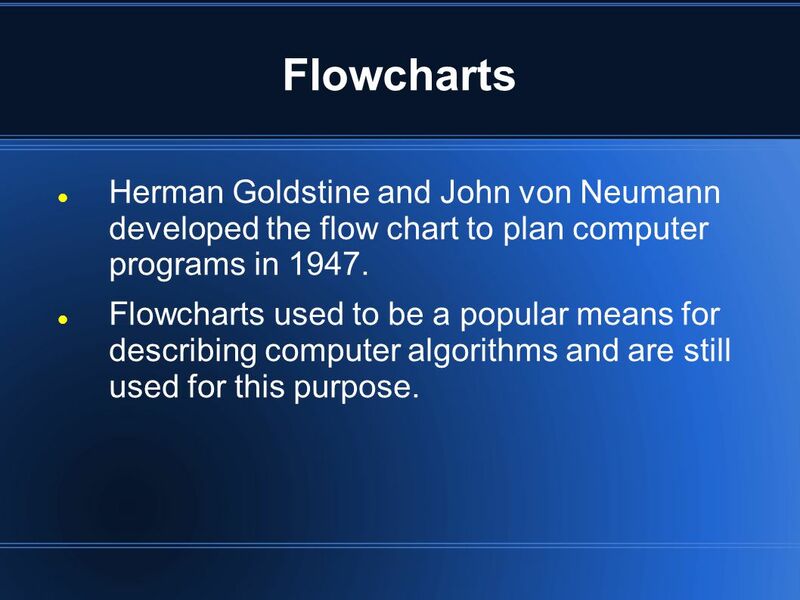 10 Flowcharts Herman Goldstine and John von Neumann developed the flow chart to plan computer programs in 1947. 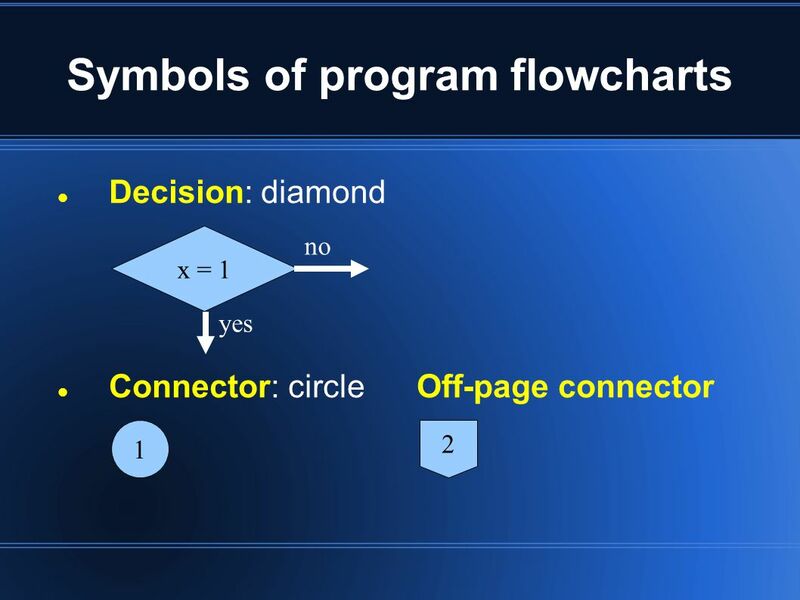 Flowcharts used to be a popular means for describing computer algorithms and are still used for this purpose. 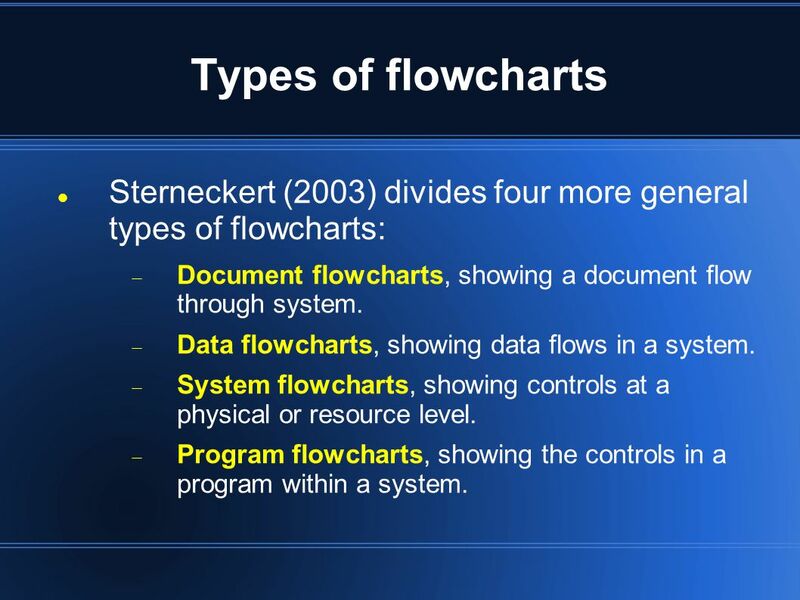 11 Types of flowcharts Sterneckert (2003) divides four more general types of flowcharts:  Document flowcharts, showing a document flow through system.  Data flowcharts, showing data flows in a system.  System flowcharts, showing controls at a physical or resource level. 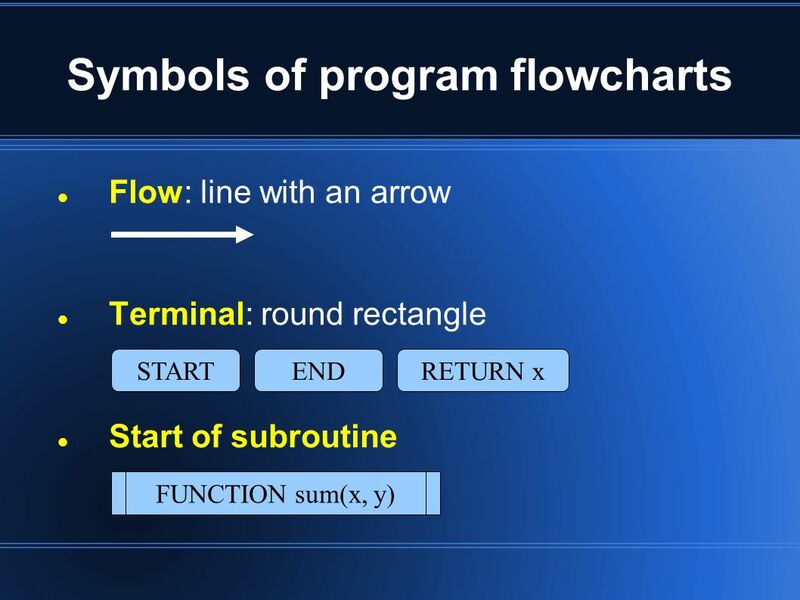  Program flowcharts, showing the controls in a program within a system. 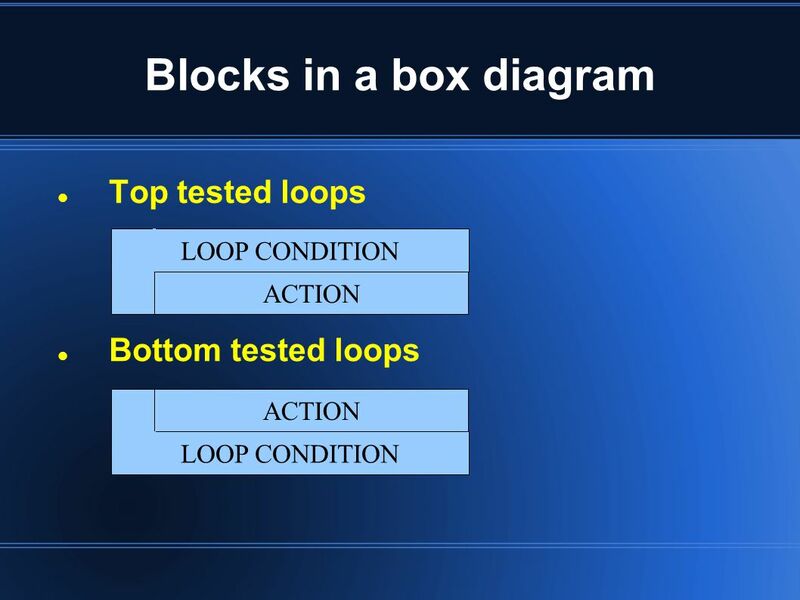 15 Box diagrams Box diagram is a graphical design representation for structured programming. Another name is Nassi-Shneiderman diagram, because it is developed by Isaac Nassi and Ben Shneiderman in 1972. 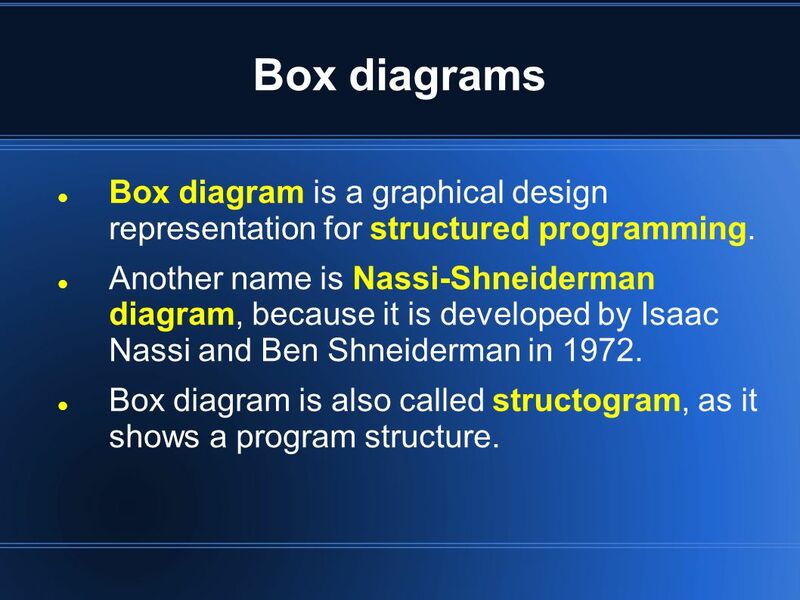 Box diagram is also called structogram, as it shows a program structure. 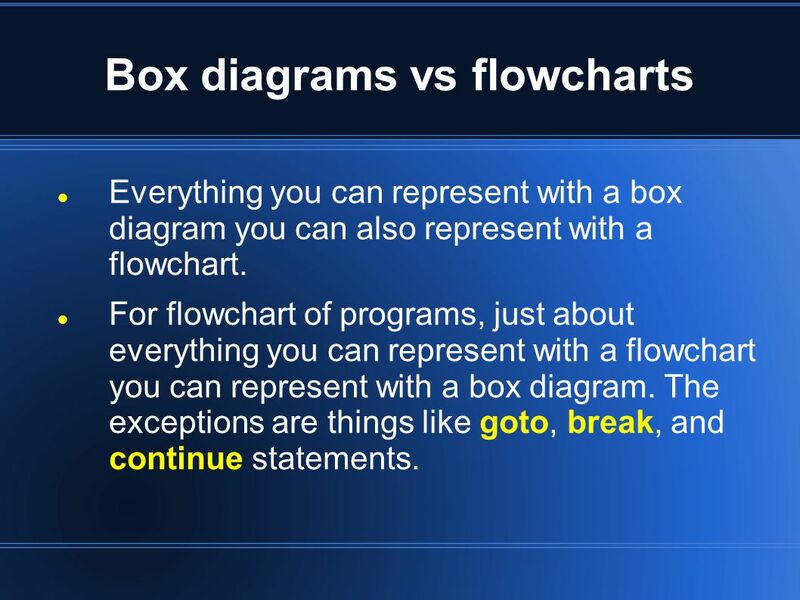 16 Box diagrams vs flowcharts Everything you can represent with a box diagram you can also represent with a flowchart. 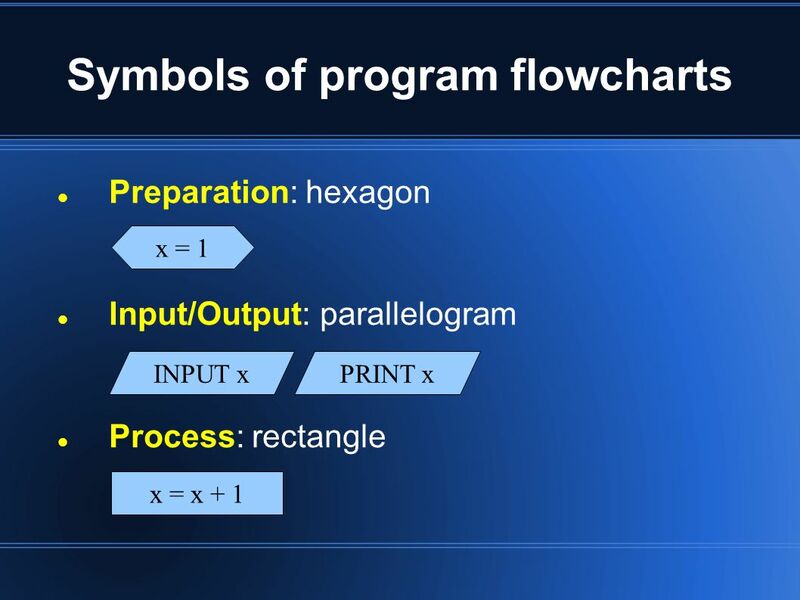 For flowchart of programs, just about everything you can represent with a flowchart you can represent with a box diagram. The exceptions are things like goto, break, and continue statements. 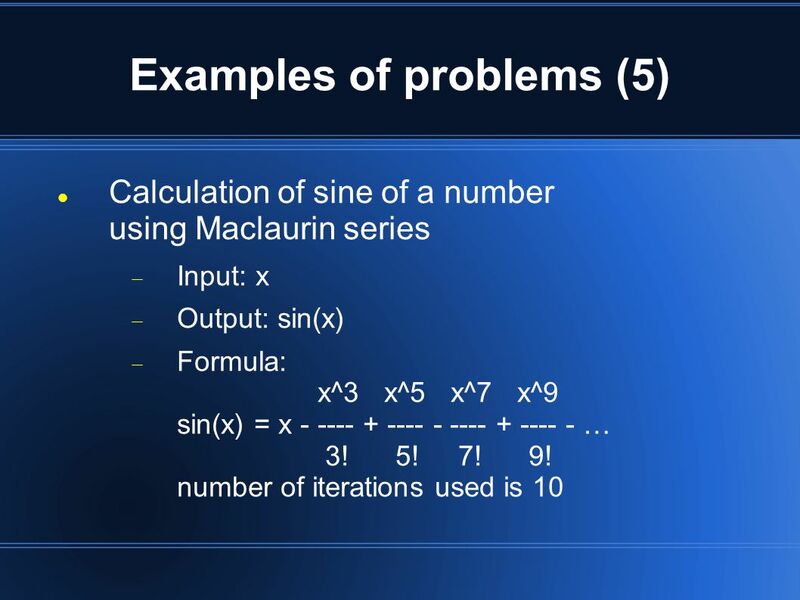 Download ppt "Algorithms An algorithm is a finite sequence of instructions, logic, an explicit step-by-step procedure for solving a problem. 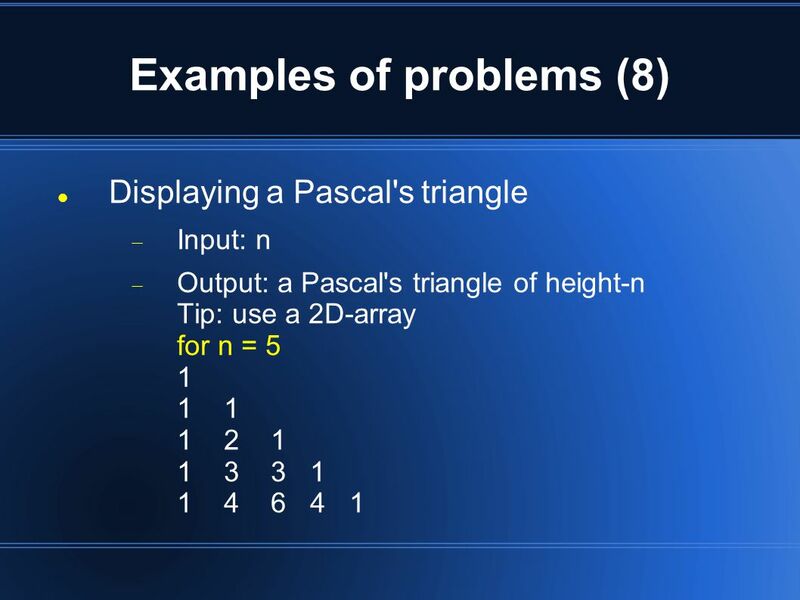 Specific algorithms sometimes." 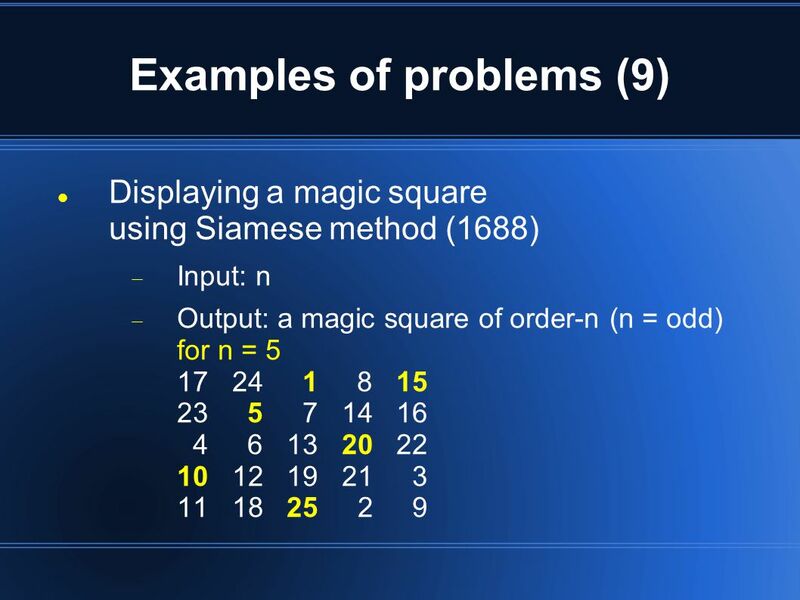 Chapter 2- Visual Basic Schneider1 Chapter 2 Problem Solving. Computer Programming Rattapoom Waranusast Department of Electrical and Computer Engineering Faculty of Engineering, Naresuan University. 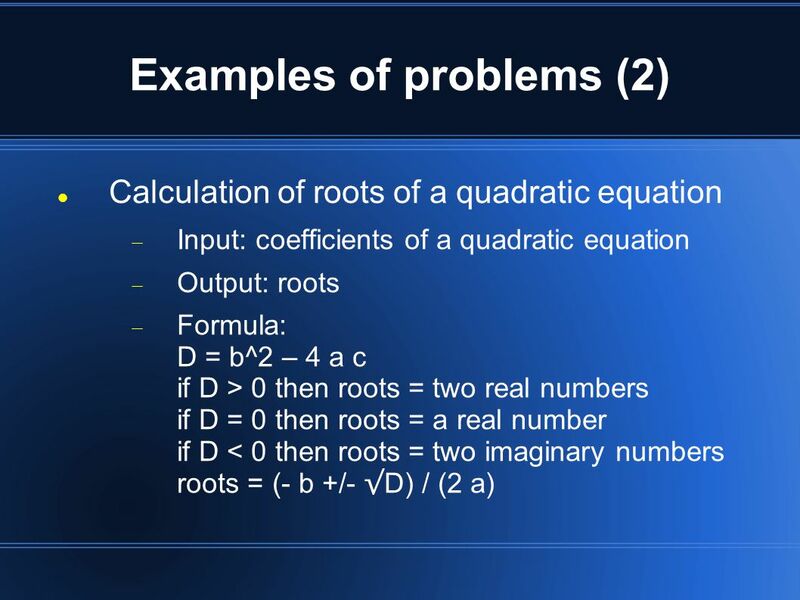 ECIV 301 Programming & Graphics Numerical Methods for Engineers Lecture 3 Programming and Software. Programming Logic and Design, Introductory, Fourth Edition1 Understanding Computer Components and Operations (continued) A program must be free of syntax. 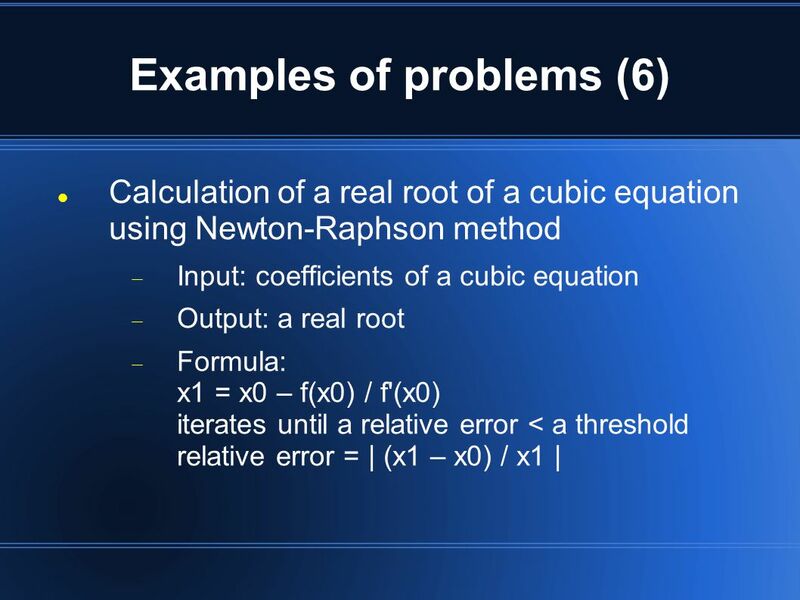 Lecture 2 Numerical Methods for Engineering MECN 3500 Department of Mechanical Engineering Inter American University of Puerto Rico Bayamon Campus Dr.